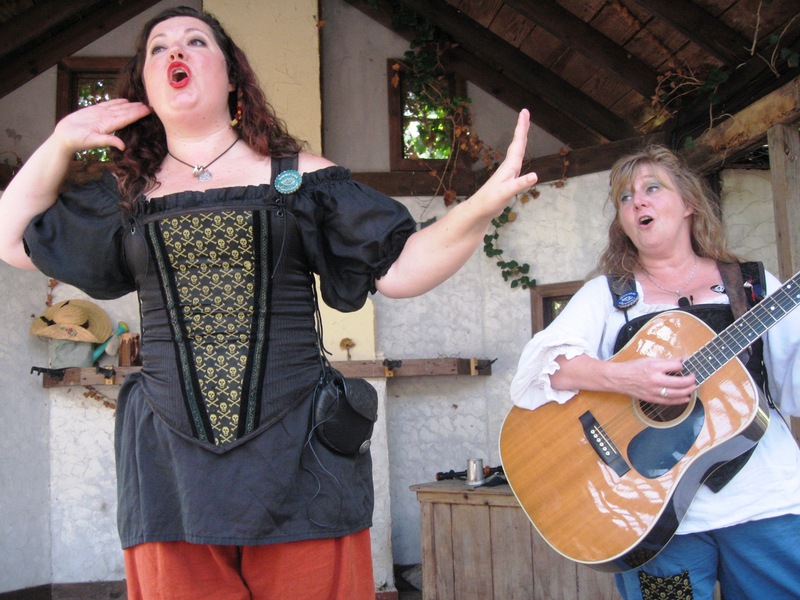 Our Day at the Ohio Renaissance Festival 9/20/2014 – Let Us Live Like We Mean It! Johnna and Jennifer Brough wailin’ away! This weekend was the Barbarian Invasion! 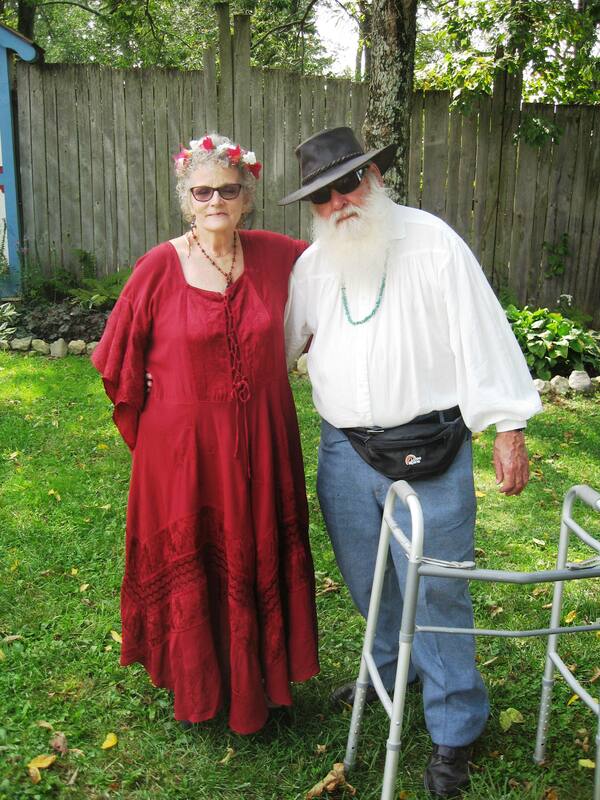 Today my friend Jim and I braved the rigors of the 30 acre RenFest. We had decided on a limited itinerary, keeping in mind that we both have mobility limitations. * It was great! A perfect day weatherwise, wonderful music, an exciting joust, and in the middle of it all a little lie-down on a grassy sward on the padded waterproof blanket I brought along for just that purpose. it was a pause for the cause! 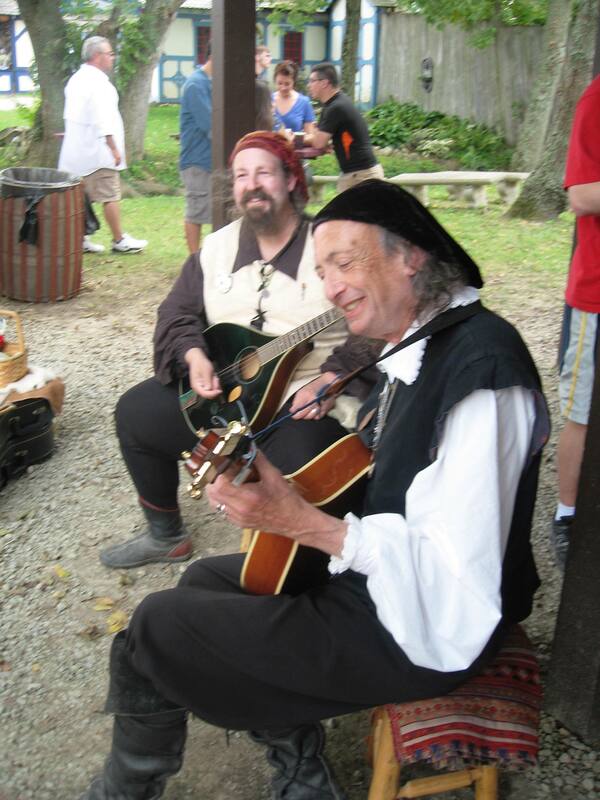 Of my old musician friends there (I played and sang to the Renaissance lute and Celtic harp from the festival’s first year, in 1990 to 2000), I didn’t manage to catch my friend and fellow lutenist Craig Merlin Broers on camera. And this after he gave me his latest CD gratis! Such a mensch! Our itinerary was to first eat, then amble down to see The Roses perform, have a little lie-down time, get good seats at the joust, then end the day with my good friends Wenches A’Wailing. Here are some photos from the day…. *In fact, due to a flare-up of my arthritis and fibro, I was under orders for bed-rest 10 to 12 hours a day, which I did do the day before, and am doing today, the day after. The opportunity to go to ORF with Jim was just too tempting to resist! My old friend, Michael Rosa, carries on with his quite captivating and unusual music in The Roses. Next Next post: Dinner with Alyssa!